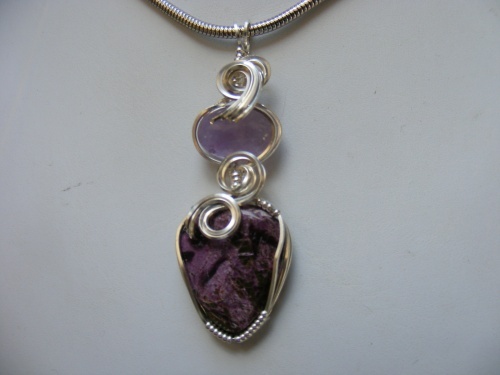 Thus amazing double pendant of Chariote with Cape Amethyst is wrapped in sterling silver curls and swirls. One of a kind piece. Measures 2 1/4" from top of bail to bottom and 3/4" at its widest part. Comes with a sterling silver snake chain.